Finding the right option in regards to the many lawsuit settlement loan companies available for you to select from can be a difficult proposition without knowing exactly what you should be looking for. The right company will be able to provide you with a loan that will help you pay for the lawsuit without causing you to pay an exorbitant amount of fees to do so. These lawsuit loans are typically used for personal injury cases but can apply to many others. One of the most important factors in choosing the right company for your lawsuit loan is to find one that offers you a high percentage. The amount of money that a company such as this provides you with depends largely on what they expect your winnings to be from the lawsuit. While many companies offer low percentages, you should consider companies that provide you with percentages that range anywhere from 20-35 percent of how much your predicted winnings are. It’s also very important that you look out for hidden fees, which numerous lending companies will attempt to trick you into agreeing to when you sign the paperwork. Make sure that you do a comprehensive reading of any paperwork that you are supposed to sign before being provided with the loan. It’s essential that you get assurances by them that there are no hidden fees that you will be expected to pay. 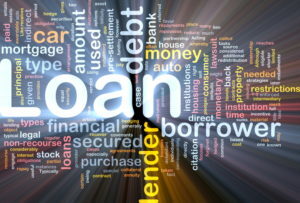 Nothing is more important when searching for the right company for your loan than finding one that offers low rates. Some companies offer a standard interest rate across all cases. However, you should look for options that offer variable interest rates. These rates should specifically be tied to the amount of risk in your case. If you’re fully expected to win your case and the risk is low, the interest rates with your loan should also be low.